Shoulder title modifié du West Yorkshire Regiment GB WW1. Deux anneaux soudés à l’arrière. Shoulder title Duke of Wellington’s Regiment GB WW1. Bon état. Shoulder title Royal West Kent Regiment GB WW1. Bon état. 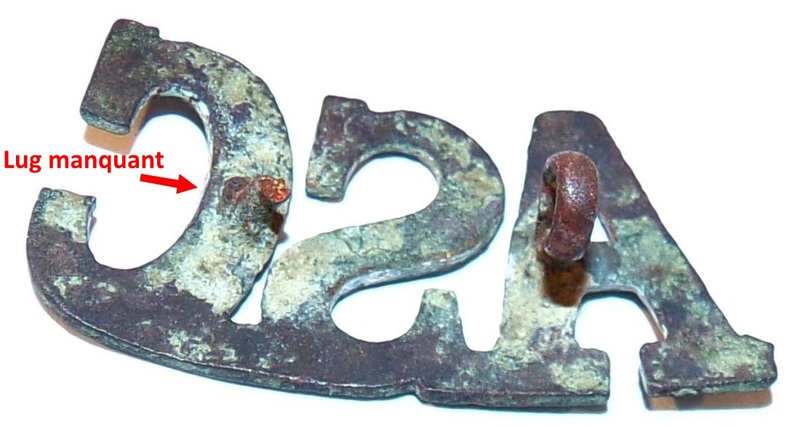 Shoulder title Gloster Gloucestershire Regiment GB WW1. Bon état. Shoulder title Border Regiment GB WW1. Bon état. Shoulder title East Lancashire Regiment GB WW1. Bon état. Shoulder title Queen’s Regiment GB WW1. Bon état. Shoulder title Manchester Regiment GB WW1. Bon état. Shoulder title Royal Sussex Regiment GB WW1. Un lug manquant. 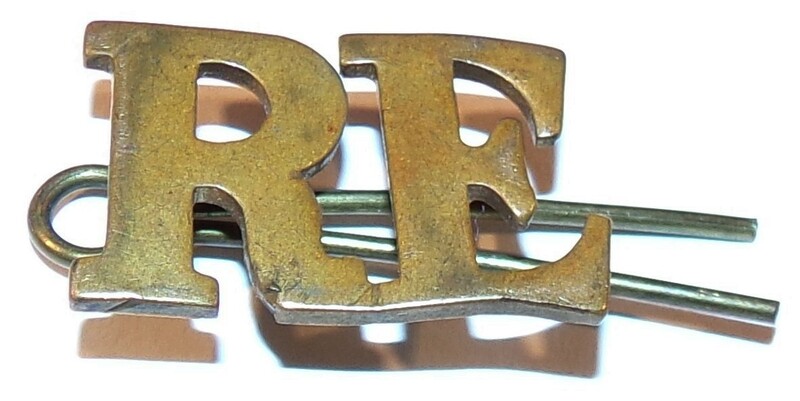 Shoulder title KRR King’s Royal Rifle Corps GB WW1. Bon état. 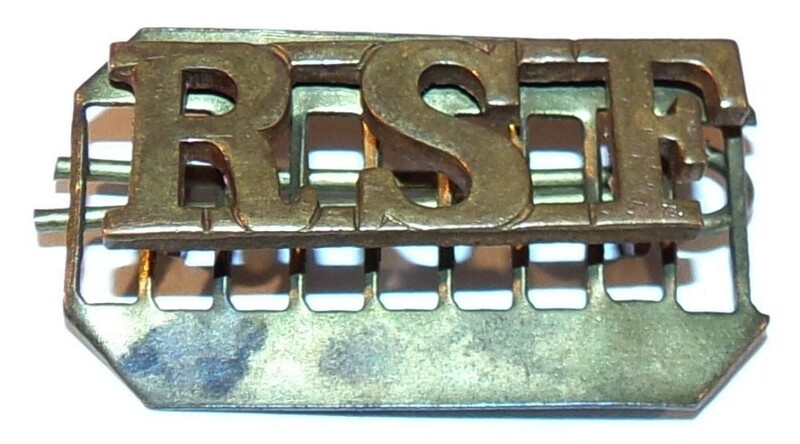 Shoulder title RSF Royal Scots Fusiliers GB WW1. Bon état. 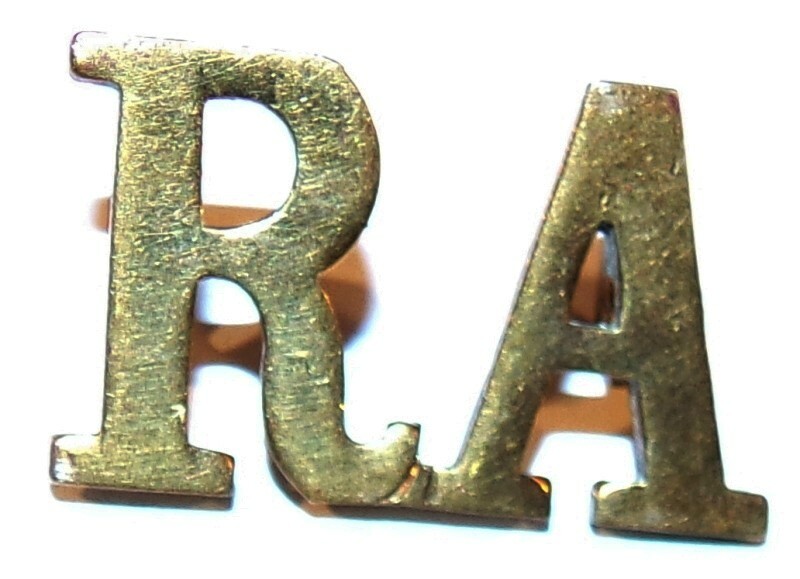 Shoulder title RA Royal Artillery GB WW1. Bon état. 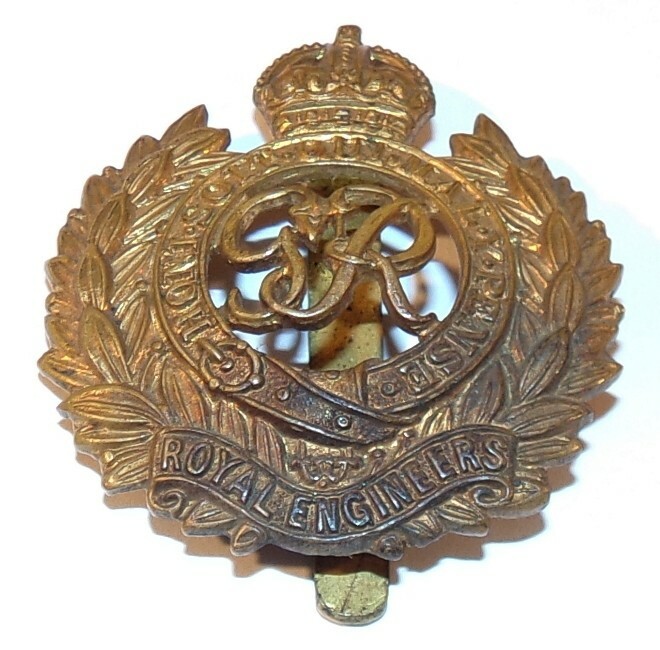 Shoulder title RE Royal Engineers GB WW1. Bon état. 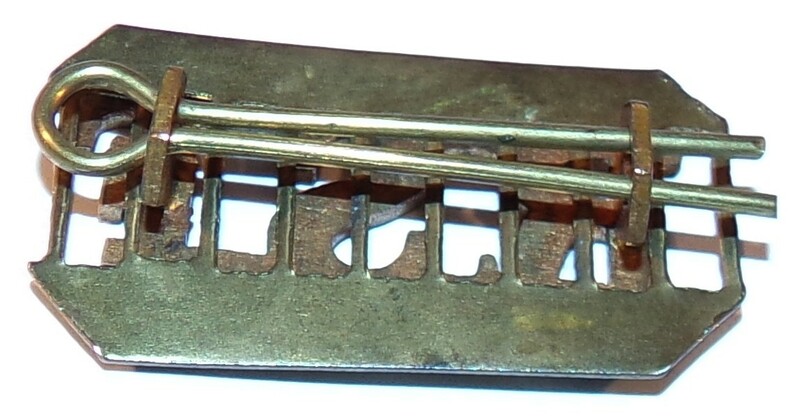 Shoulder title MGC Machine Gun Corps GB WW1. Etat porté. 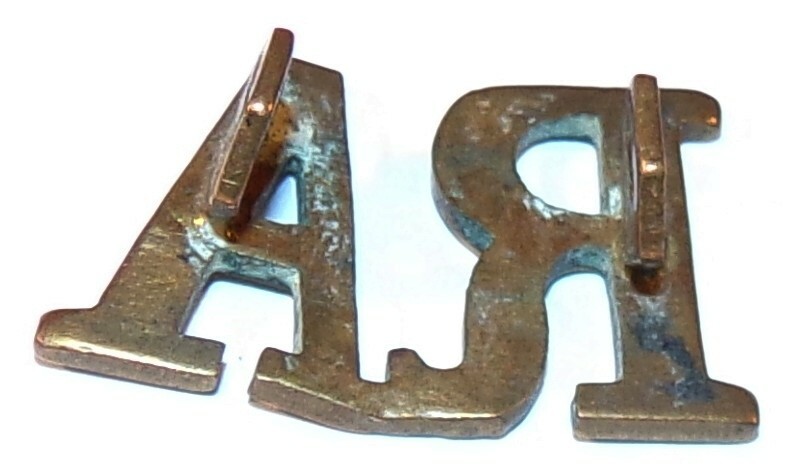 Shoulder title AVC Army Veterinary Corps GB WW1. Bon état. Shoulder title RAOC Royal Army Ordnance Corps GB WW1. Un lug manquant. 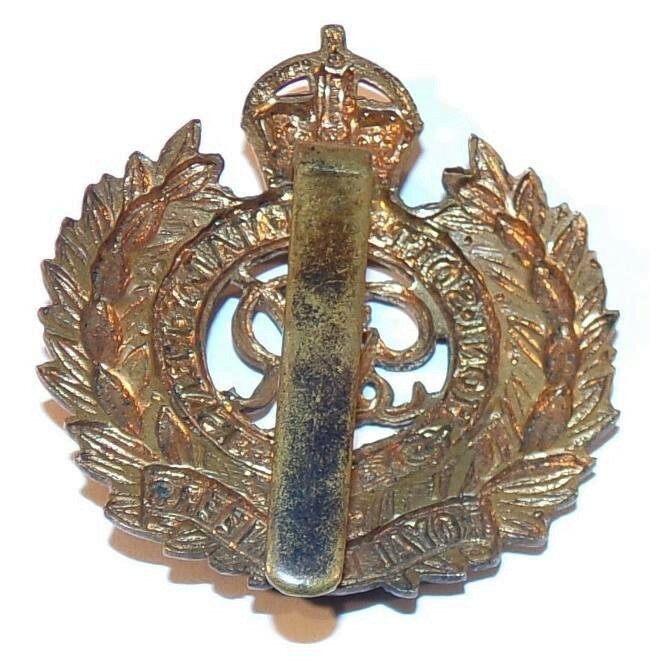 Shoulder title RAMC Royal Army Medical Corps GB WW1. Bon état. Shoulder title ASC Army Service Corps GB WW1. Un lug manquant, état fouille. 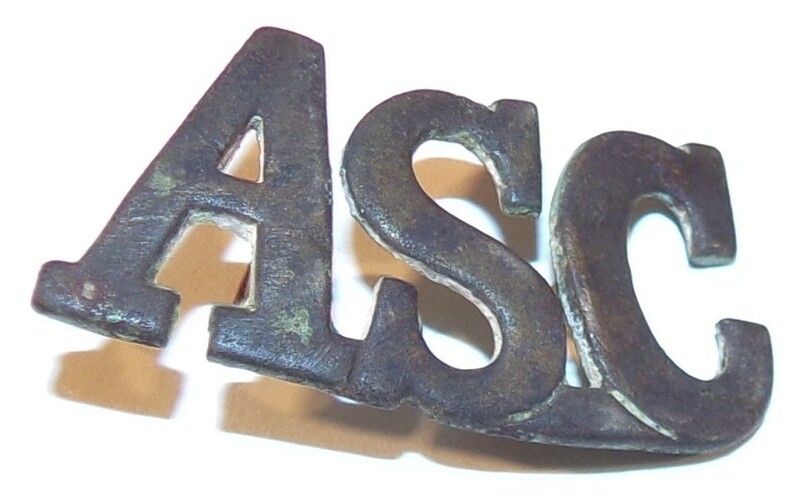 Shoulder title ASC Army Service Corps GB WW1. Bon état. 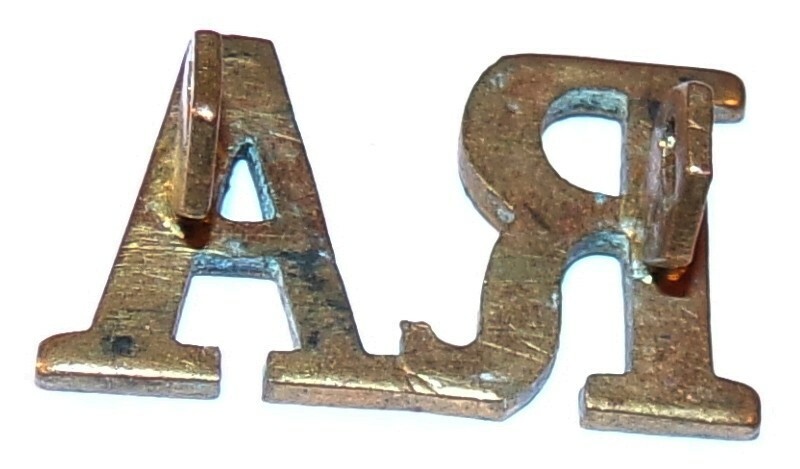 Shoulder title RASC Royal Army Service Corps GB WW1. Bon état. 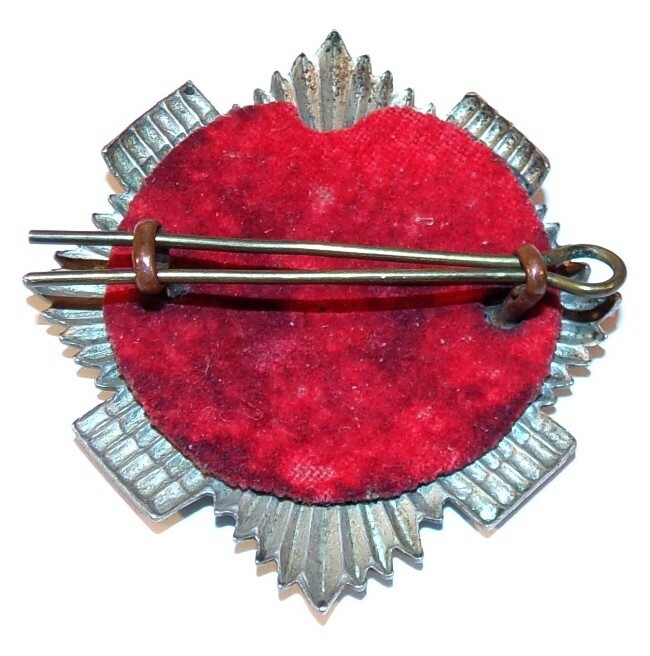 Cap badge The Royal Scots avec backing rouge 1st Battalion GB WW1/WW2. Bon état. 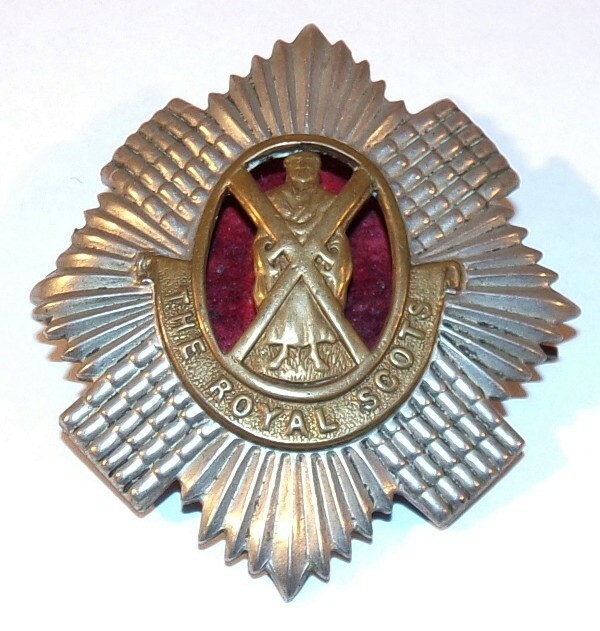 Cap badge The Royal Scots GB WW1/WW2. Bon état. 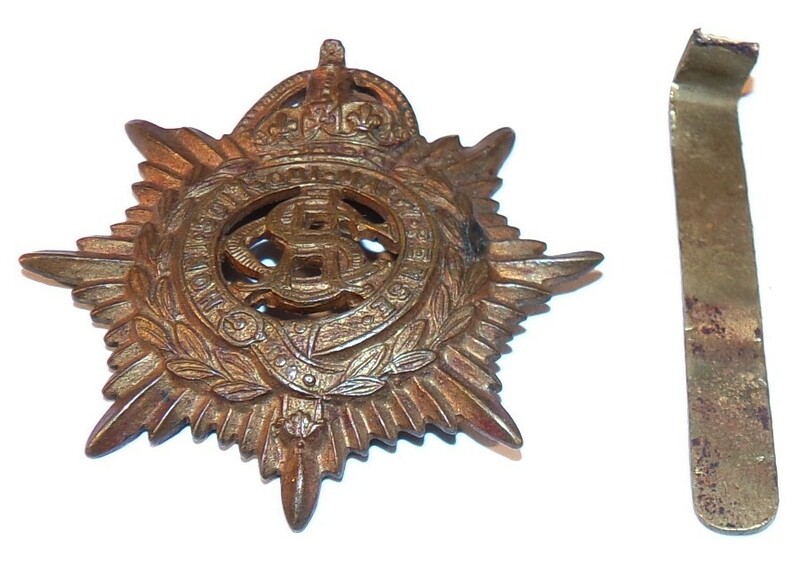 Insigne couronne de grade Major GB WW1/WW2. Lugs manquants. Sleeve badge Sergeants NCO RA Royal Artillery GB WW1. Bon état. Cap badge ASC Army Service Corps GB WW1. 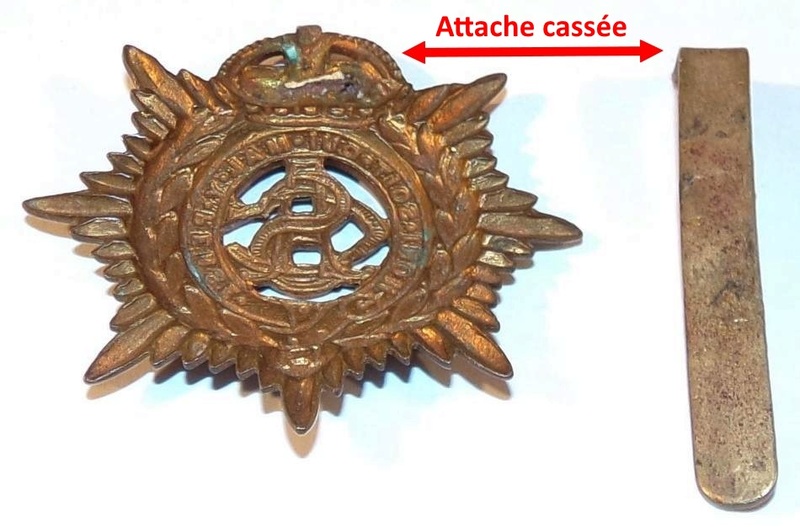 Attache cassée. Cap badge RAMC Royal Army Medical Corps GB WW1/WW2. Bon état. 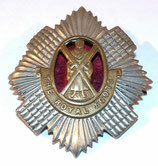 Cap badge RE Royal Engineers GB WW1/WW2. Bon état. Cap badge RA Royal Artillery officier GB WW1/WW2. La roue tourne, modèle officier. Bon état. 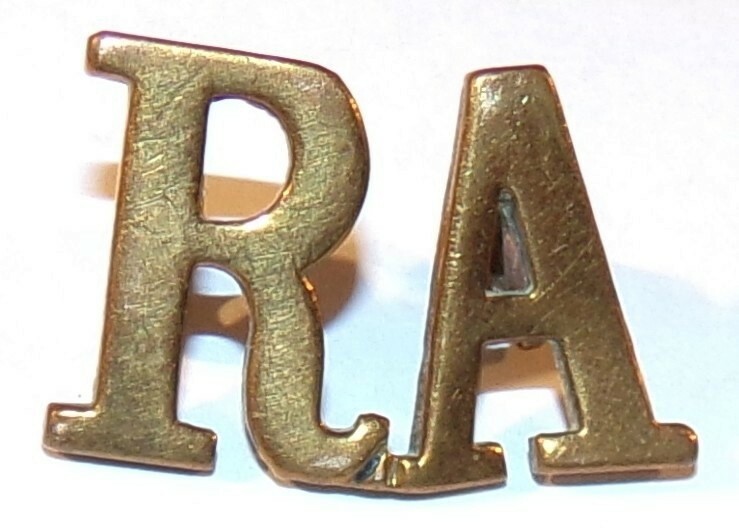 Cap badge RA Royal Artillery GB WW1/WW2. Bon état. Cap badge 7th City of London Battalion GB WW1. Bon état. Title RFA Royal Field Artillery GB WW1. Bon état. Collar badge australien WW1/WW2. Bon état, porté.